Unveiled at an event in Paris, the much-anticipated flagship smartphone from Huawei is now official. 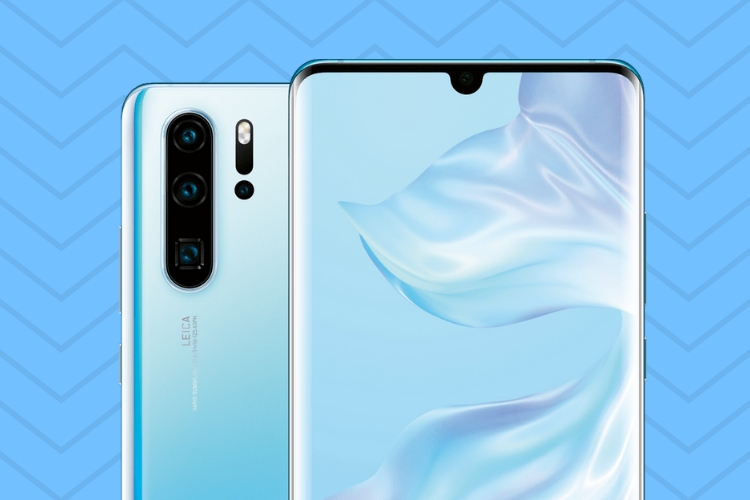 The Huawei P30 and P30 Pro are the company’s latest endeavors to present users with not just best-in-class performance, but also the most advanced photography experience on a smartphone. 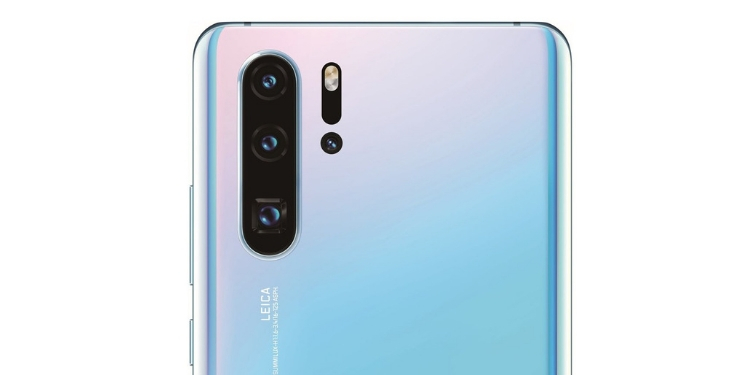 The Huawei P30 Pro comes with a Leica-branded quad-camera module on the rear, with a primary 40 MP (f/1.6) SuperSpectrum sensor, a 20 MP ultra-wide angle camera, an 8MP telephoto camera (which is the most notable upgrade, as you’ll see), and finally a Huawei-made Time-of-Flight (TOF) sensor. There’s a 32MP selfie camera in tow as well. Starting off with the primary SuperSpectrum sensor, Huawei has upgraded the traditional RGBG Bayer filter by swapping out the green pixels with ‘superior’ yellow pixels. 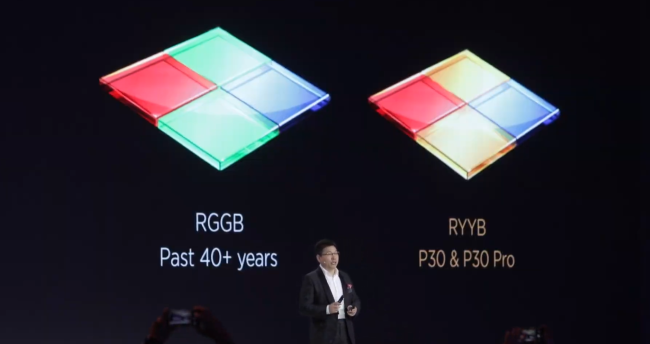 This has means you get an RYYB sensor, which Huawei says can yield a maximum ISO rating of up to 409,600 on the P30 Pro. This sensor is optically stabilized (OIS) and packs AIS (AI stabilization) as well to offer a primary camera that’s capable of capturing some extraordinary detail and bright images, even at night. If you couple this with the secondary ultra wide-angle lens, with a field-of-view of up to 120 degrees, then you can capture some captivating shots. The highlight of the quad-camera module on the Huawei P30 Pro is the telephoto camera because it isn’t a standard sensor but instead, comes with a prism element integrated into it to give users a periscope module. This enables the light entering the sensor to bend at a right angle in order to maximize the focal length, without increasing the camera height or disrupting the design. This has been termed as the SuperZoom lens by Huawei and it’s capable of high-fidelity magnification up to 5 times optical zoom, 10 times hybrid zoom, and 50 times digital zoom. It’s mind-boggling how the Chinese giant has achieved this feat but we’ll have to wait for a hands-on with the device to see how this feature performs. The time-of-flight (TOF) camera has found its way into several modern smartphones, of recent. Even though a lot of you may not see any purpose in this sensor, but it’s usually utilized to capture depth information and it’s being used on Huawei P30 Pro here for the same. The depth map, with precisely accurate image segmentation and distance measurement, enables multiple levels of bokeh that you will be able to adjust on the device. This sensor will also come handy in facilitating future mobile AR developments, but solely on the P30 Pro as it’s missing from the P30. The P30 Pro comes packed with AI and HDR+ technology, using which you can capture “Super Portrait Mode” photos with immense details – down to the strands of hair on the subject’s face. Coming to the video capabilities, well, Huawei boasts that the P30 series can capture a stunning night-time video – giving new meaning to your candlelight dinners or bonfires, thanks to the new SuperSpectrum sensor. The dual-OIS combo of the primary sensor is available up to 4K recording at 60fps, so you can expect super smooth and crisp videos using the same. You can zoom in to capture some beautiful close-ups. All of these camera sensors enable a myriad of camera features on the P30 Pro, but the one that stands out to me is the Dual-View mode. Huawei is pushing its dual-NPU to its limits by using two of the rear cameras on board to record videos simultaneously. Yeah, your Huawei P30 Pro will be able to capture an ultra-wide angle and a zoomed video at exactly the same time – with both feeds showing up on the screen. There’s definitely a lot more to come about the P30 Pro’s cameras and we will bring you our first impressions as soon as possible. Stay tuned to Beebom for more on the Huawei P30 Pro.